John G. Rodwan, Jr. 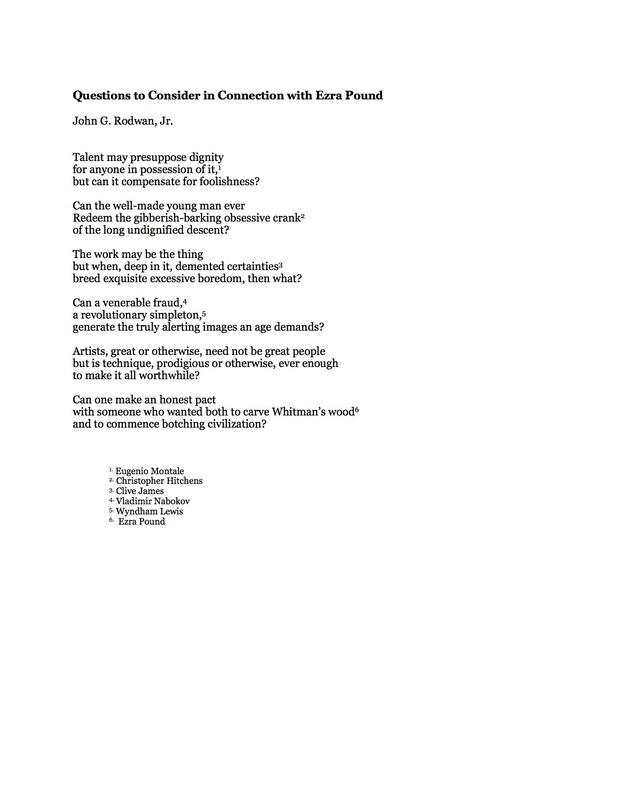 Questions to Consider in Connection With Ezra Pound. ← Phosphorescent. My Dove, My Lamb. That last stanza: brilliant. 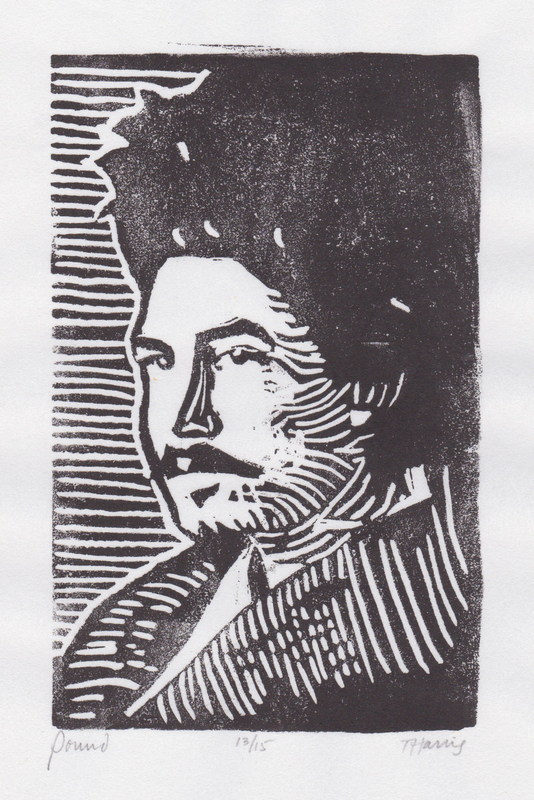 Like the woodcut, too.